Previewed at: Palace Verona Cinema, Paddington, Sydney, on 9 October 2017. Breathe is the powerful directorial debut of British character actor Andy Serkis, who's usually hidden under a computer generated visage; we know him better as Gollum, Caesar or Snoke. Here, once again, we don't get to see his face but this time he remains hidden behind the camera rather than a CGI mask. It's an impressive first film as director and it augurs well for him should he ever tire of acting. The movie tells the true story of Robin Cavendish (Andrew Garfield), a man struck down by polio in the prime of his life, and his strong-willed wife, Diana (Clare Foy). Cavendish ran a tea-broking business and travelled frequently to Kenya and it was there, in December 1958, that he suddenly became ill and subsequently paralysed from the neck down, unable to breathe without the aid of a mechanical respirator. Given three months to live, he returned to England, determined to tell his wife, and the mother of their young son, to turn off his breathing apparatus. Diana was only 25 (Robin was 28) and he didn’t want to be a burden to her but she refused to consider the idea, swearing that she had married him “for better or for worse.” Unable to move, it was, of course, impossible for Cavendish to switch off the machine himself. After an initial battle with depression and with Diana's unwavering support, he came to accept his fate. Always searching for ways to improve his quality of life and, by extension, the lives of those similarly handicapped, he became an expert in his illness. Together with his friend Teddy Hall (Hugh Bonneville), he was responsible for the invention of a number of devices that significantly ameliorated his and others' mobility. Thanks to his doggedness he became a champion of the polio afflicted, ‘responauts' who were confined to ‘iron lungs’. 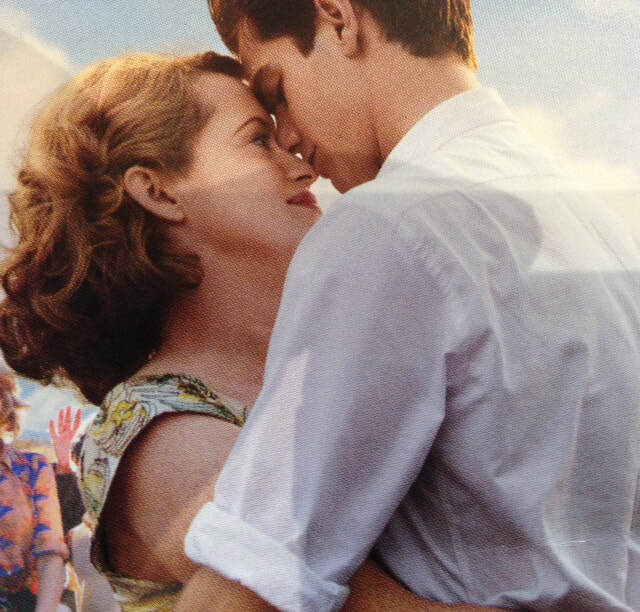 If that all sounds a little clinical (pun intended), you’ll be pleased to learn that Breathe is essentially a love story, and a very moving one. Garfield and Foy (Elizabeth II in The Crown) are convincing as the loved-up young marrieds facing up to a totally unexpected horror. The Cavendishs lived at a time when one confronted adversity with a stiff upper lip and it's easy to believe the two actors as inhabitants of this post-war period. Some may have trouble with William Nicholson's screenplay due to the kind of formality with which people spoke in the ‘50s but the language and mannerisms will be familiar to older viewers. Serkis has done a good job of broadening the scale of the story, considering that much of the Cavendish's lives were lived internally, both physically and mentally, and Robert Richardson' camera captures some stunning scenes, especially in Africa. Breathe is an unusual story but it's a highly inspiring and engaging one.